In the fall of 1998, one year after the death of Isaiah Berlin, the New York Institute for the Humanities organized a conference to consider his intellectual legacy. The scholars who participated devoted much of their attention to the question of pluralism, which for Berlin was central to liberal values. His belief in pluralism was at the core of his philosophical writings as well as his studies of contemporary politics and the history of ideas. The papers given at the conference and collected in this volume concentrate on three aspects of Berlin's concept of pluralism. Aileen Kelly, Mark Lilla, and Steven Lukes trace the development and consequences of his distinction between "hedgehogs," thinkers who have a single, unified theory of human action and history, and "foxes," who believe in multiplicity and resist the impulse to subject humanity to a universal vision. Ronald Dworkin, Bernard Williams, Thomas Nagel, and Charles Taylor examine how liberalism can be sustained in the face of Berlin's insight that equally legitimate values, such as liberty and equality, may come into irreconcilable conflict. Avishai Margalit, Richard Wollheim, Michael Walzer, and Robert Silvers take up Berlin's advocacy for the State of Israel and his hopes for it as a place where the often contrary values of liberalism and nationalism might find harmonious resolution. The Legacy of Isaiah Berlin includes not only the panelists' contributions but also transcripts of the lively exchanges among themselves and with audience members following each session. 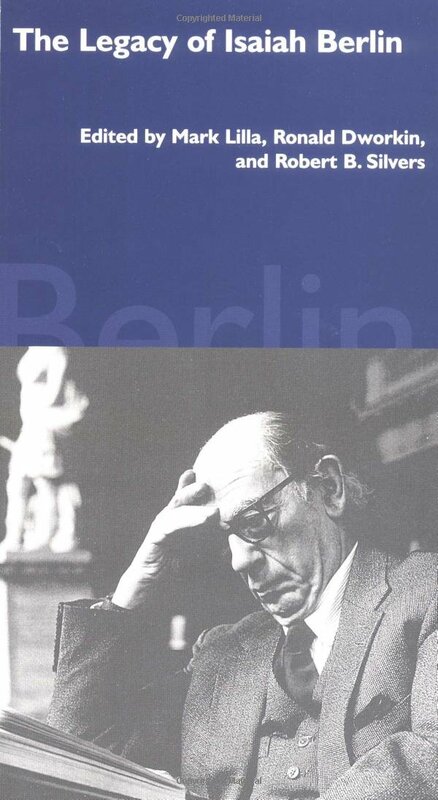 The two days of discussion preserved here demonstrate the continuing vitality and relevance of Isaiah Berlin's thought in today's social and political debates.